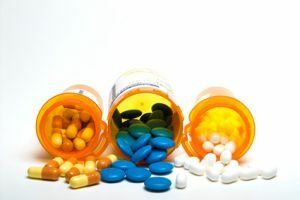 The pledge by the Centers for Medicare and Medicaid Services in May 2012 to reduce the number of prescriptions given for antipsychotics by 15% nationwide has not been without reason. Despite the slow 8% reduction in the use of such medication, the reasons for the ban on antipsychotics are plentiful and serious. Research has shown antipsychotic medicines to increase the chances of death, especially in elderly patients because their bodies are weaker compared to young patients. Clinical research has shown that these drugs increase the risk of heart attacks by affecting cardiovascular circulation. As a spin off reaction, they can also induce hyperglycemia and diabetes. An audit by the United States government reveals that 83% of total antipsychotic prescriptions in nursing homes are for uses that are not approved by medical experts and even the government itself. This number is huge and tells a story that reflects negligence and a shortcut route to pacifying uncooperative patients on the part of caretakers who were held in high esteem previously. For more information on nursing homes in New York look here. Learn more about the laws applicable to New York nursing homes here.